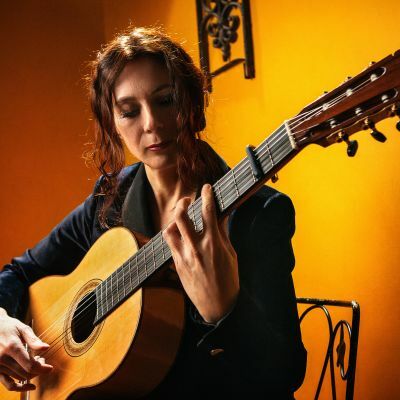 Holly Blazina's compositions are a synthesis of modern flamenco, her classical training and the natural influence of North American music – always with respect and deference to the flamenco tradition. Holly performs as a soloist, a duo, trio or full band. Additions to her entourage include percussion, singing, violin, sax, santur (Persian dulcimer) and, of course, dance.